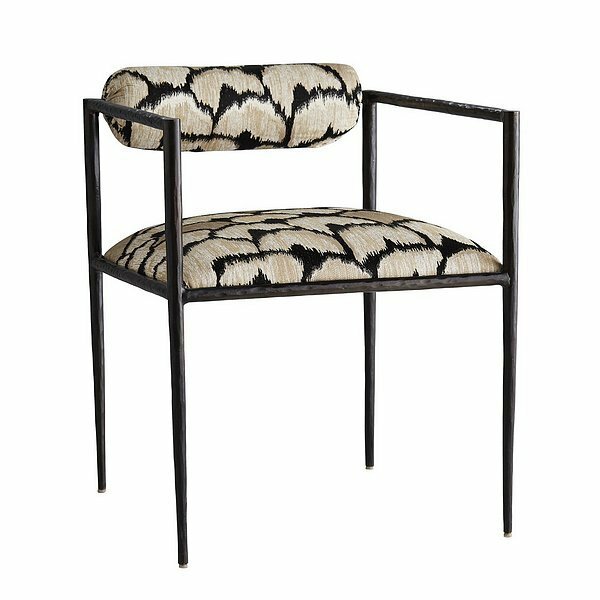 Arteriors Home 4506 - This exquisite frame is perfectly poised, perched on delicate legs that are as faint as insects'. The natural iron body has been hand-forged, yielding soft impressions along the sharp-angled frame. The tight seat and bolster back cushion are covered in a regal ocelot embroidered linen. Finish may vary. Dimensions: H: 27" x W: 21.5" x D: 22.5"